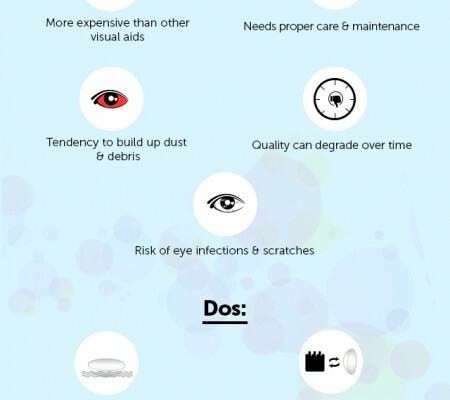 Summary: Contact lenses are used to have clear vision but many people use it because it lends them an aesthetic appeal. Contact lenses can colour your eyes in different hues but while opting for the right colour, be mindful of your skin tone and hair colour. Contact lenses are thin plastic lenses which improve vision and help to see clearly. 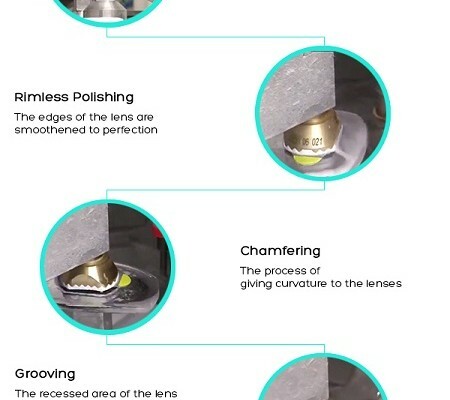 Since the last few years, the contact lens technology has improved drastically. 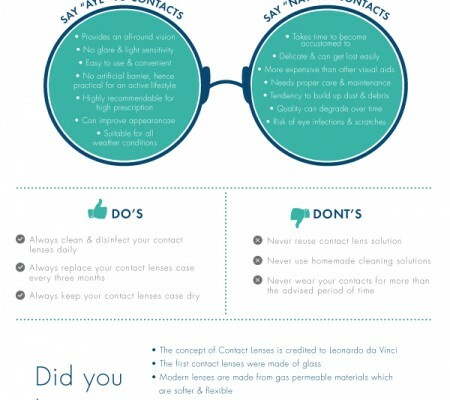 Now, contacts not only provide clear vision but can be used for a variety of aesthetic uses as well. Change of eye colour with help of contacts can drastically change an individual’s impression. Colours like light blue, light green, amethyst, purple and even hazel eyes holds captive attention of the listeners and makes a person centre of everybody’s attention. But coloured contacts should be chosen with care. Dark skin tone: Dark skin colours go well with warm colours. Honey, hazel, misty grey, amethyst, deep green and deep blue go perfectly well with dark skin colour. Light colours like baby blue, bright green and bright purple should be avoided by people with this skin tone. Olive or brown skin tone: People with olive and brown skin tone can choose their contact lens colour from bright green, navy blue, hazel, honey and deep grey. Baby blue and bright grey colours usually look tacky on people with brown, warm skin tone. Light skin tone: Light skin tone goes well with all colours. Wide range of colours from bright blue, green, grey to deep amethyst, aqua and purple look perfect on individuals with light skin tones. Blonde or Golden Brown: Blonde and Golden brown hair colour goes well with honey, brown, hazel and green colour. Colours like bright blue, aqua and bright green do not gel with blonde or golden brown hair colour. Strawberry Blonde: Strawberry blonde hair goes fascinatingly well with cool colours. Bright green, baby blue, grey, aqua, amethyst and even hazel colour blends with strawberry blonde hair. Platinum Blonde: Platinum Blonde hair colour is bleached out yellow colour which looks almost silvery white. Warm colours like hazel, deep brown and navy blue suits this hair colour. Black: Black hair looks stunning with eye colours such as amethyst, deep purple, navy blue and warm brown tones. Bright colours like bright blue, greens or grey may look tacky with this hair colour. Unique colours: Hair colours like blue, purple, salt and pepper and greyish-black blends with violet and ice-blue eye colour. Whether you are using prescription coloured lenses or coloured contacts for aesthetic use, buying coloured contact lenses is a big decision and making sure that colours go well with your skin, hair and personality is important. Look for your skin and hair tone and have fun with colours.